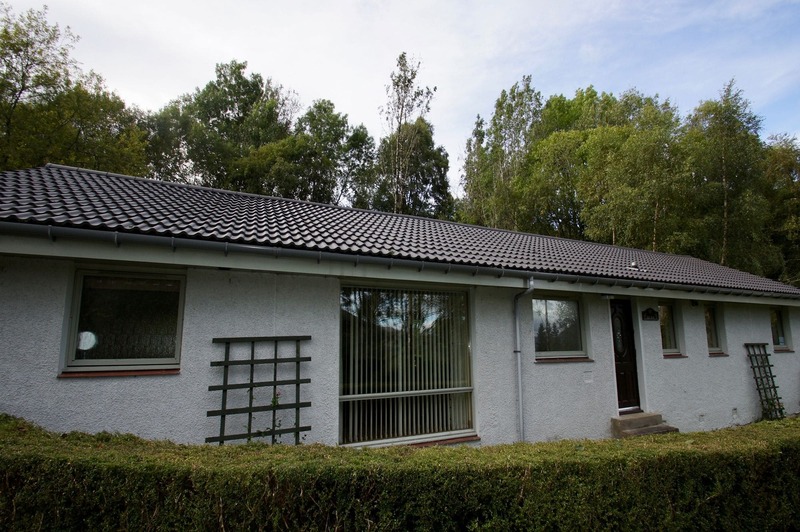 Allt Beag self catering holiday cottage in Lochearnhead offers modern bright accommodation In a quiet location with easy access to walks and cycling on the Sustrans Route 7 cycle network. 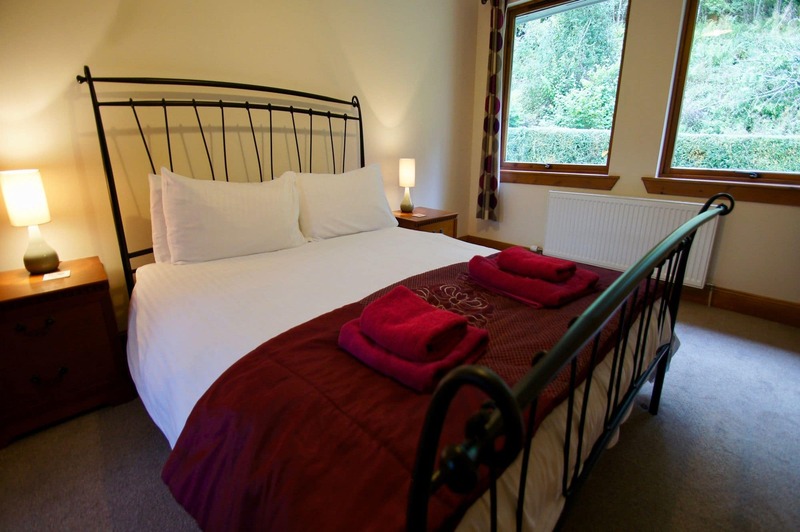 With Views of Loch Earn where you can enjoy watersports and fishing during the summer months. Visitors enjoy seeing the deer and red squirrels or a rare sighting of the Pine Martin from the cottage. 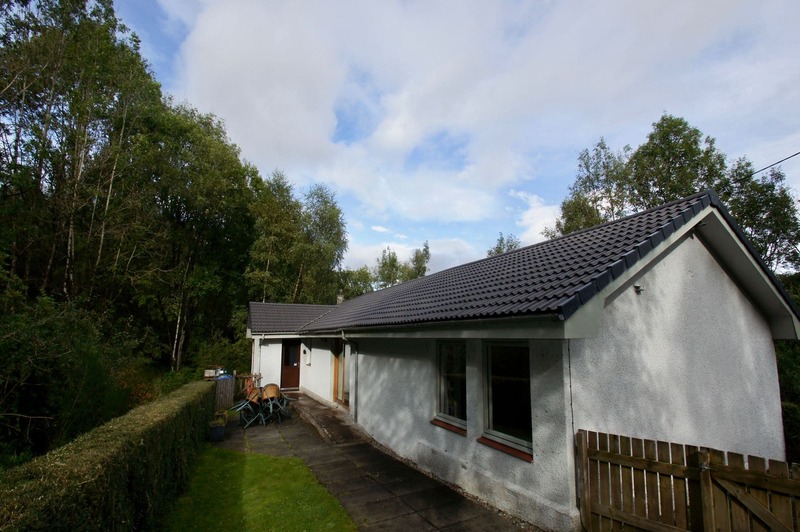 Allt Beag holiday cottage provides a central base for exploring the Loch Lomond and Trossachs National Park with many activities and events throughout the year. A circular tour of Loch Lomond is enjoyed by many guests. Glasgow, Edinburgh and Perth are just over an hours drive away. Glencoe for skiing in the winter months is just under an hours drive. Lochearnhead hosts the annual Black Face Sheep Shearing Competiion as well as the annual Balquhidder, Strathyre and Lochearnhead Highland Games. Popular for watersports and fishing, Loch Earn is busy during the summer months. Local Music Festivals are held at Strathyre, Balquhidder and Killin, the fun filled events are great for families. Guests will find parking space for two cars next to Allt Beag holiday cottage, with access through a gate to a private garden. To the rear of the property is a small patio area with table and seating. There is ramp access to the door and the accommodation is all on one level. A utility room at the rear door, is equipped with washing machine, wall and base units, a washer and sink. There is oil central heating throughout the property, with the boiler located in the utility room. The open plan living space is great for socialising. 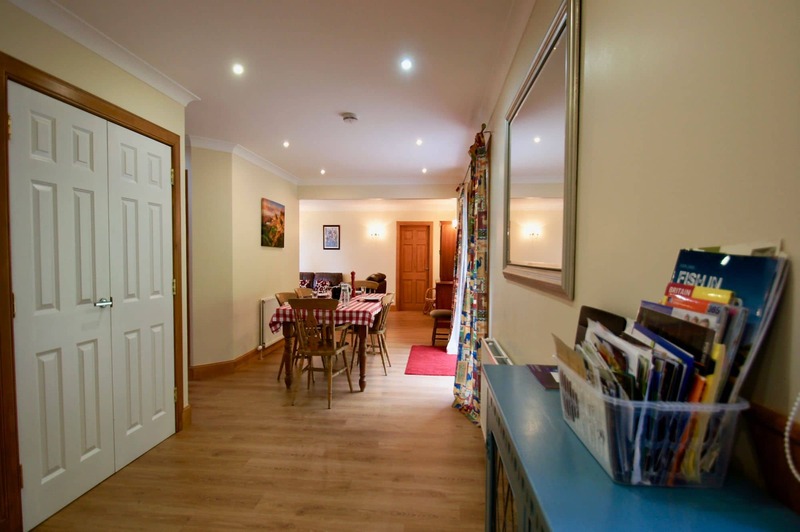 There is a large fully-fitted kitchen with oven and hob, fridge-freezer, kettle, toaster and microwave. 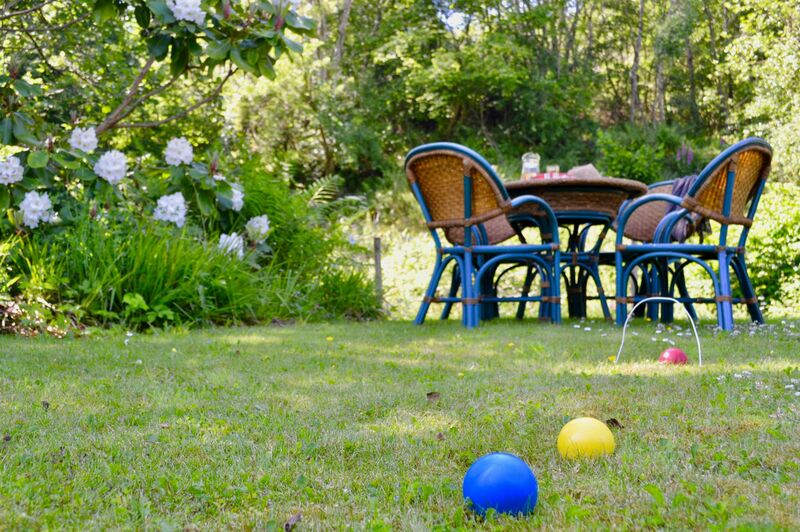 The dining area has a dining table with seating for up to five guests and large sliding doors leading to the rear garden area through which you will occasionally see local wildlife including birds, red squirrels and even deer. The lounge area has leather seating, a free-view television with DVD player. There are books, games and DVD provided. WiFi is available throughout the property. The main bathroom contains bath, separate shower, sink and toilet. Allt Beag sleeps up to five guests, with a king en-suite bedroom, a twin room and a single bedroom. Storage space is available in all bedrooms. A short walk from the cottage is the National Cycle Network Route 7 which connects several villages in the Loch Lomond and Trossachs National Park. Offering walking and cycling for miles, south towards Balquhidder and Callander, and north towards Killin. Guests are only a short walk to the village shop, where you can purchase fishing permits for Loch Earn. The village of Lochearnhead also has two restaurants at The Lochearnhead Hotel and The Clachan Hotel.